Ms. Anita Wilson is the President and CEO of Reflection Media, Inc., a content company which owns both the “Worship Soul” and “Sunday Song” albums, videos and more. Rick Robinson (Husband) and Anita are partners in life and in music as they consistently write and produce classic hits. MAW’s hands on approach to every detail of her business and career has solidified her longevity as a singer, songwriter and music executive. 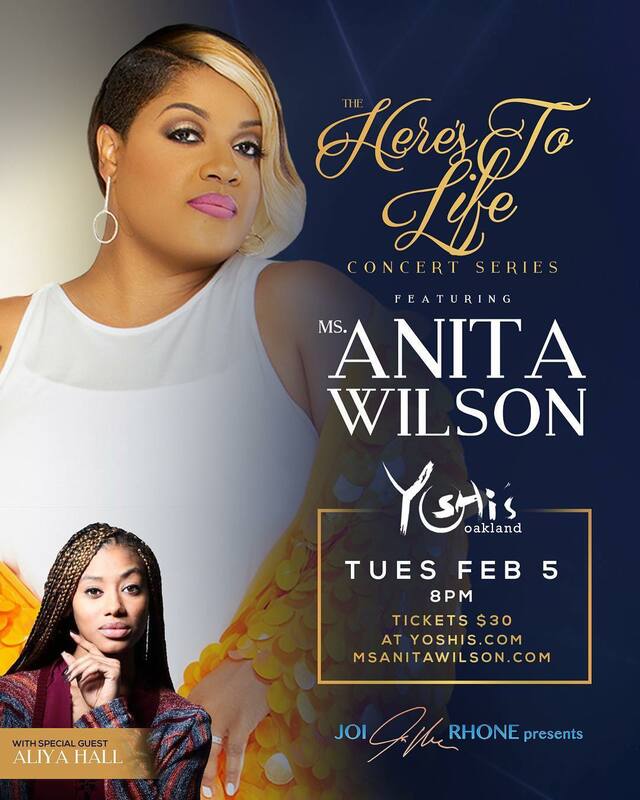 Local artist Aliya Hall will open for Ms Anita Wilson – Here’s To Life!